I work in Business Development and Marketing. I wanted to do a boudoir session so I could give my husband-to-be a gift of a passionate album on our wedding day! I chose Wallflower based off of reviews and referrals from the area. 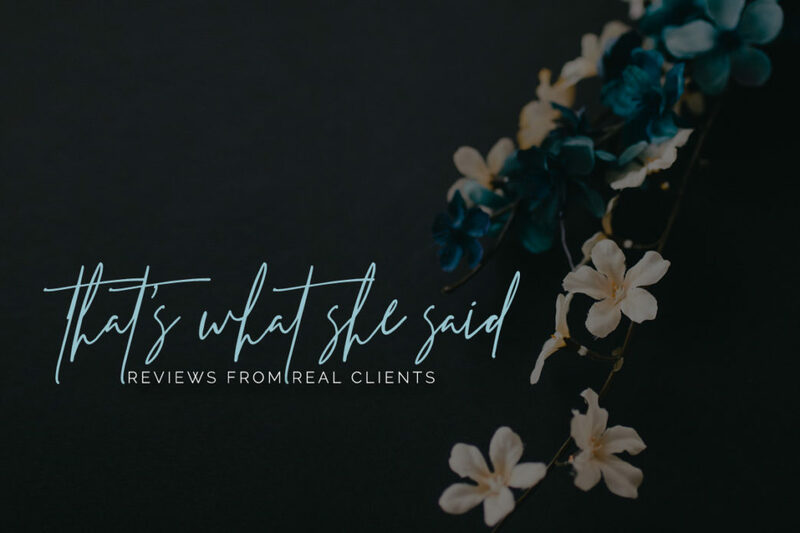 Once meeting with Christina in our initial consultation, it was an obvious decision to go with her based on the way she made me feel in our discussion and her professional experience and portfolio. I was a little nervous going into it as it was definitely a jump out of my comfort zone. I have no problem expressing myself on that intimate level with my significant other, but adding another person in the mix make things feel awkward. Christina eased that nervousness within minutes and quickly made me feel like I was owning the poses for him. My favorite part of the experience was seeing the photos for the first time. During my shoot Christina made me feel so confident as if they were going to blow my mind when I saw them and they honestly did just that. The way my confidence level increased from the beginning of the shoot towards the end made the entire experience that much more memorable. Absolutely, go for it! It’s a couple hours in a day where it’s all about you and the empowerment and self-love you gain from the experience is what makes it worth it! It was amazing! I was blown away how well Christina showcased my body through each image. As a woman in a very critical world, it’s so easy to look at ourselves and see flaws. Seeing the photos and seeing my body at every angle was such a great experience for me. I absolutely loved them and realized through it how much I truly love my body. It was more than I expected it to be! Everything described to me went off smooth sailing and what I took from the experience could not have been described prior, it’s just something you have to do to truly understand! 100% yes! I have always felt confident, especially with my significant other because of his love for my body, but I never understood why he thought it was so amazing. This made me see just how beautiful the female body can be but more importantly how beautiful mine is now in my own eyes. Christina is absolutely amazing at what she does. She coaches through the poses and lifts you up in that moment to make you feel like you are truly a model. I am so happy that I decided to do this and I cannot wait to give my photo album to my husband-to-be! I can’t wait to look at the footage from our videographer and see his reaction to opening it!